Some time ago, I posted three "Top Ten" lists of books about American Indians. Each list was about a specific age/grade level. You will find links to those three lists at the top right side of AICL in the IF YOU'RE STARTING A LIBRARY... section of the site. Today, I'm adding a Top Board Books list to that section. It isn't a Top Ten list because some of the books are from the same author and titling it "Top Ten" doesn't work. 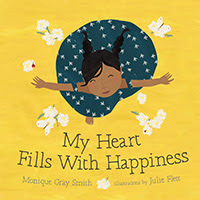 Each of the books are written or illustrated by a Native author or illustrator, and in some way, they are "tribally specific." Baby Learns about Colors, by Beverly Blacksheep. 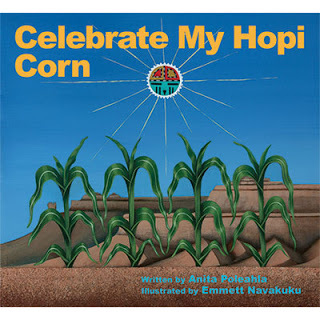 Published in 2003 by Salina, it is one of a series of eight bilingual books with Dine (Navajo) and English text that feature a baby girl, her growth, and things she learns in a tribally specific context. Other books in the series are Baby Learns about Animals, Baby Learns about Seasons, Baby Learns about Senses, Baby Learns bout Time, Baby Learns about Weather, Baby Learns to Count, and Baby's First Laugh. 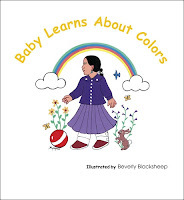 For more information, see my essay: Beverly Blacksheep's Board Books. Boozhoo, Come Play With Us, by Deanna Himango. 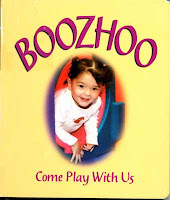 Published in 2002 by the Fond du Lac Band of Lake Superior Chippewa, this bilingual board book features photographs of toddlers at play. In some of the photos you can see the tribally specific decor of the classroom. 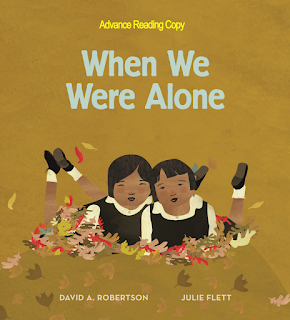 The languages in the book are Ojibwe and English. The last page features a pronunciation guide. 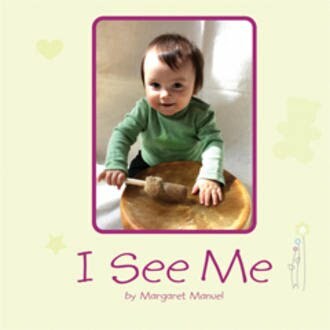 I See Me, by Margaret Manuel. Published in 2010 by Theytus, the book can be personalized. By that, I mean that each page has a line of English text about the photo, and, a blank line for parents/teachers to write a caption in their own language. If you wish, the publisher provides captions in a specific language. This book is being given to families through the American Indian/Alaska Native Reach Out and Read program. 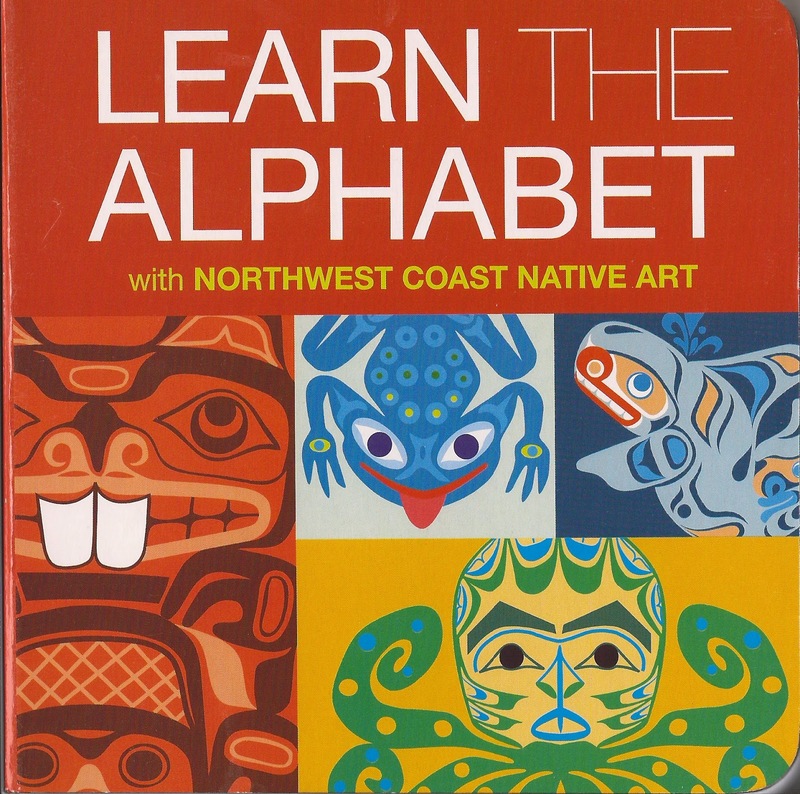 Learn the Alphabet with Northwest Coast Art. 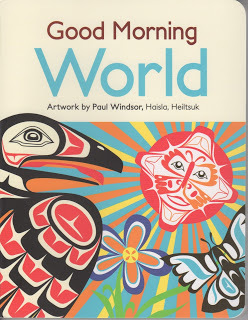 Published in 2010 by Garfinkle Publications, this board book is one of several that are illustrated by First Nations artists. The back cover provides information about the item and artist whose work is featured on each page. 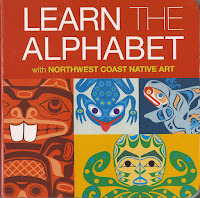 The other book from Garfinkle that I know and recommend is Learn to Count with Northwest Coast Native Art. They also sell puppets, plush animals, stickers, and stamps. Though I don't have any of the items, I think they can be used to enhance the study of the art in the books. 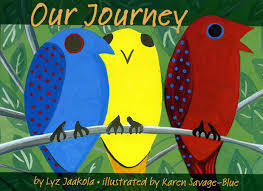 Our Journey, by Lyz Jaakola, illustrated by Karen Savage-Blue. Published in 2001 by the Fond du Lac Band of Lake Superior Chippewa, this bilingual book bids Anin (hello) and Miigwech (thank you) to the east, south, north, west, and to the sun and earth, and to "the One who gave me my birth." 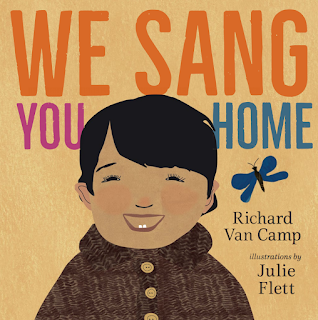 Because the illustrations are primarily of pre-contact scenes, you'll want to make sure to use present tense verbs when using the book in settings where you don't have day-to-day interactions with Native children and their families. 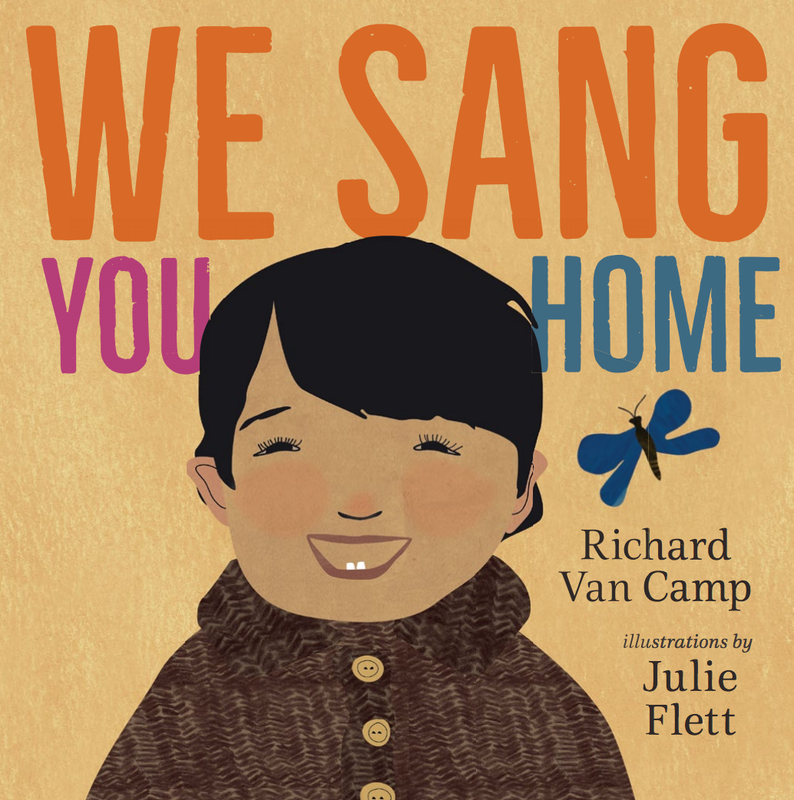 Welcome Song for Baby: A lullaby for newborns, by Richard Van Camp. Published in 2007 by Orca, it was given to every baby born in British Columbia in 2008. Richard is Dogrib (the Dibrib people are in Canada). The book was very well received and reviewed as a book primarily for parents. That's it... for now. Fourteen books. If you know of others, please let me know! A hearty thanks to Jean Mendoza for working with me on this list, and for being my dear friend. Add Debby Slier's Cradle Me to this list! 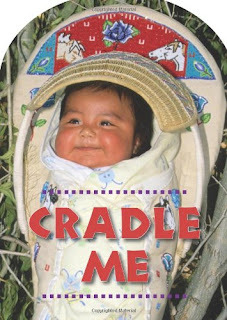 Published in 2012 by Star Bright Books, each page has a photo of a Native baby doing something (sleeping, smiling, etc.) and a blank line for you to write down that word in another language. The final pages identify the tribal nation each baby is from. 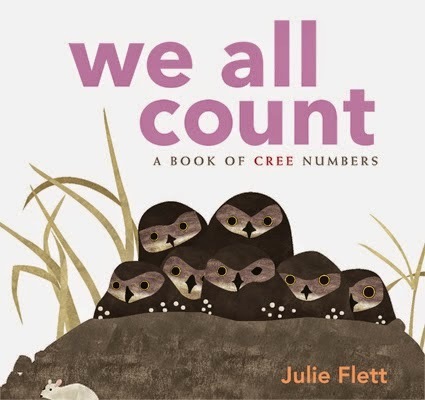 Add Julie Flett's exquisite We All Count. It has words in Cree and English. I wish I had had this list when I was creating bibliographies for El dia de los ninos/El dia de los libros: Building a Culture of Literacy in your Community Through Dia (ALA, 2011). I looked high and low for bilingual titles and would have loved to know about Baby Learns about Colors and the other books. I will locate copies and try to use them in workshops. Thanks! I came across another Debbie Slier board book: Loving Me, also by Star Bright Books (ISBN 978-1-59572-334-5). From the description: "...babies and toddlers will discover the importance of familiy relationships in these charming photographs of Native American families."